When you mention Business Continuity to a businessperson, the usual response is that the IT staff handles that, because it’s all about computers. How far from the truth this is… This misconception can lead to a major business interruption. While IT Data Recovery is an important aspect of any Business Continuity Plan (BCP), how does your company access and deal with the voluminous other aspects of an event? Aspects such as communication with employees, customers, vendors, financial institutions; daily critical activities as simple as receiving the US Mail, processing checks, shipping product, looking up information from manual/paper filing systems or project management. Yes, some of these chores are related to IT systems, but not all. How about if your premises become uninhabitable? Where do your employees go? How do they access the company phone system or IT systems. What is the security like? How do you notify your employees that an event has happened? Let’s not forget those industries where BCP is not only mandatory but auditable by governmental agencies that can access fines for shoddy or incomplete plans! So you’ve done your analyses and created a BCP. Did you fall into the trap of not anticipating that the foundation of all plans is based on your current procedures and policies? And it is these procedures and policies that may not be sound. With any foundation that has cracks in it, if you add the weight of a stressor, be it a rapid increase in sales, volume of transactions, a major fire or a natural disaster that these events (even good events like sales going through the roof) can cause your systems to break? 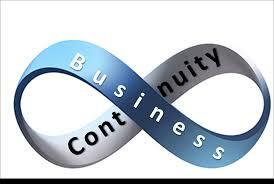 Business Continuity Plans need to be built, tested, updated, tested, updated, managed while training all employees and those business partners that have a need to know how the BCP are executed and what their role if any is in the case of an event. So, while your computing may be in the cloud, your business is still on terra firma and you need to plan around that issue as well. Previous Post: Linux More Hackable? Bah, Humbug! Next Post: Intellectual Property – Is it an issue?